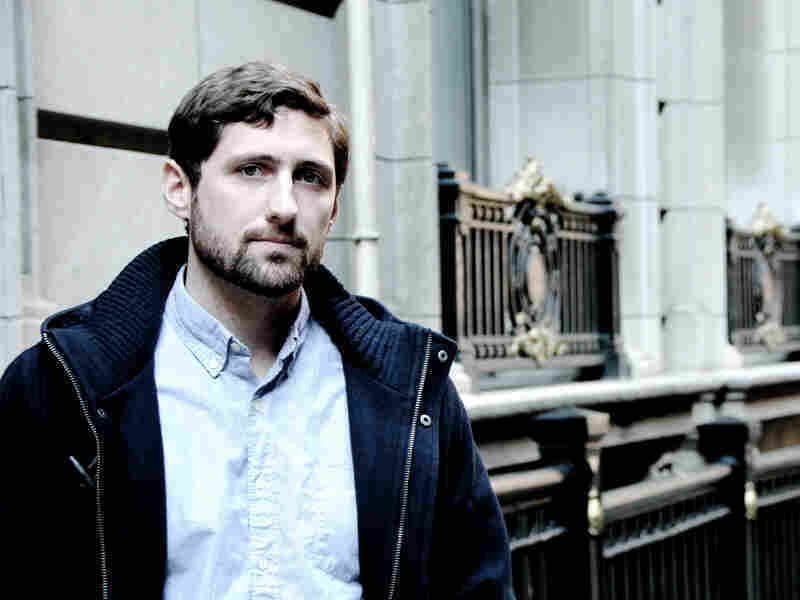 Book News: National Book Foundation Fills Out Its '5 Under 35' List : The Two-Way The list, which picks five promising writers under 35 years old, includes Phil Klay, an Iraq War veteran longlisted for this year's National Book Award. Also: An unpublished Bond story gets new life. Phil Klay, who served in Iraq's Anbar province from January 2007 to February 2008, was also longlisted for this year's National Book Award. Earlier this week, the National Book Foundation named the authors included on this year's "5 under 35" list. The young authors are occasional NPR contributor Alex Gilvarry, Yelena Akhtiorskaya, Valeria Luiselli, Kirstin Valdez Quade and Iraq War veteran Phil Klay, whose short story collection Redeployment also made it onto this year's longlist for the National Book Awards. The honor, which goes to five writers under 35 years old, brings with it an award of $1,000 for each writer and something likely even more valuable: membership in an informal club that contains a number of notable past recipients. Despite being under 10 years old itself, the list in past years has already included such young literary heavyweights as Karen Russell, Tea Obreht and Dinaw Mengestu. The authors will receive their awards at a ceremony on Nov. 17, to be emceed by Questlove. 007 Hits The Road: An unpublished, original James Bond story will be getting a breath of new life in the hands of author Anthony Horowitz, according to Allison Flood of The Guardian. Horowitz, both a novelist and screenwriter, is by no means the first to receive the blessing of the late Ian Fleming's estate — but, says Flood, Horowitz "is the first writer to have been given unpublished material to work with." Horowitz will be using the story — a tale of Formula One racing intrigue written by Fleming in the 1950s, called "Murder on Wheels" — as fodder for a new novel. A Half-Century In Review: Legendary editor Robert Silvers, co-founder of The New York Review of Books, recalls in The Atlantic the circumstances of the review's 1963 rollout. Silvers, who is also the subject of a new documentary from Martin Scorsese and David Tedeschi, says not everyone expected much from it: "When I told Jack Fisher, the editor of Harper's, that I thought I should take a leave to start a new paper, he said, 'Great! You'll learn a lot and be back in a month.' "
Back In Class: You may remember the school district in Dallas that made the ill-timed decision to suspend seven books from its classrooms just as Banned Books Week was getting underway. Well, a Dallas Morning News blog reports that Dawson Orr, the superintendent of the Highland Park Independent School District, has walked back that decision, reinstating the books after the case caught national attention and a protest petition drew more than 2,000 signatures.